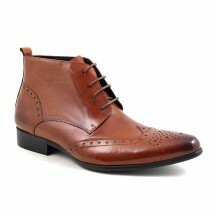 A waxed leather brown brogue lace-up boot which oozes style and quality. There is a wing tip and brogue detail to the toe. 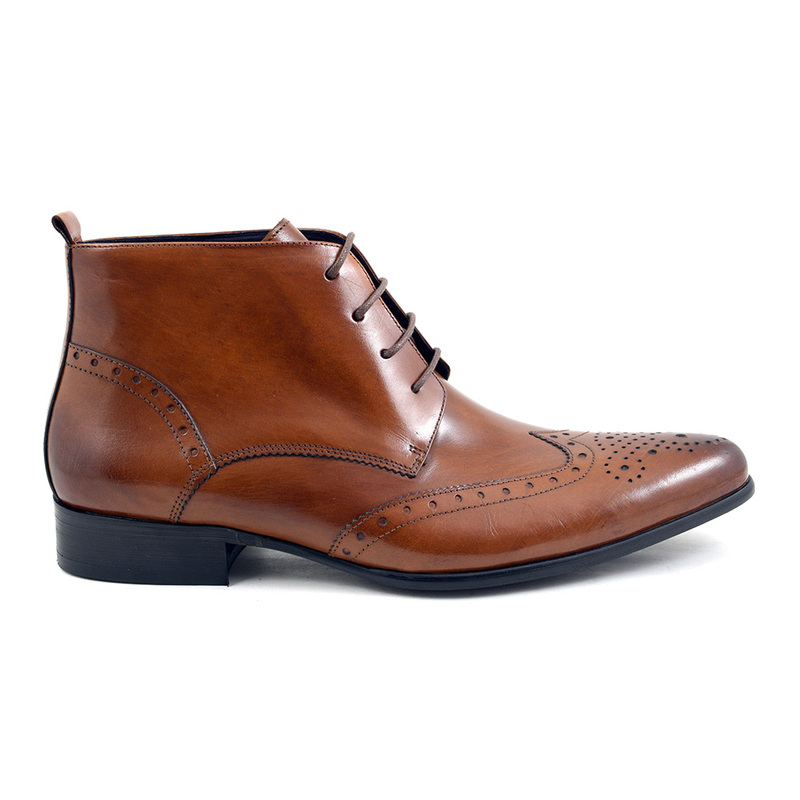 The highly burnished chestnut colour gives depth to these boots which can be worn formally or with relaxed attire. Versatile boots from Gucinari. 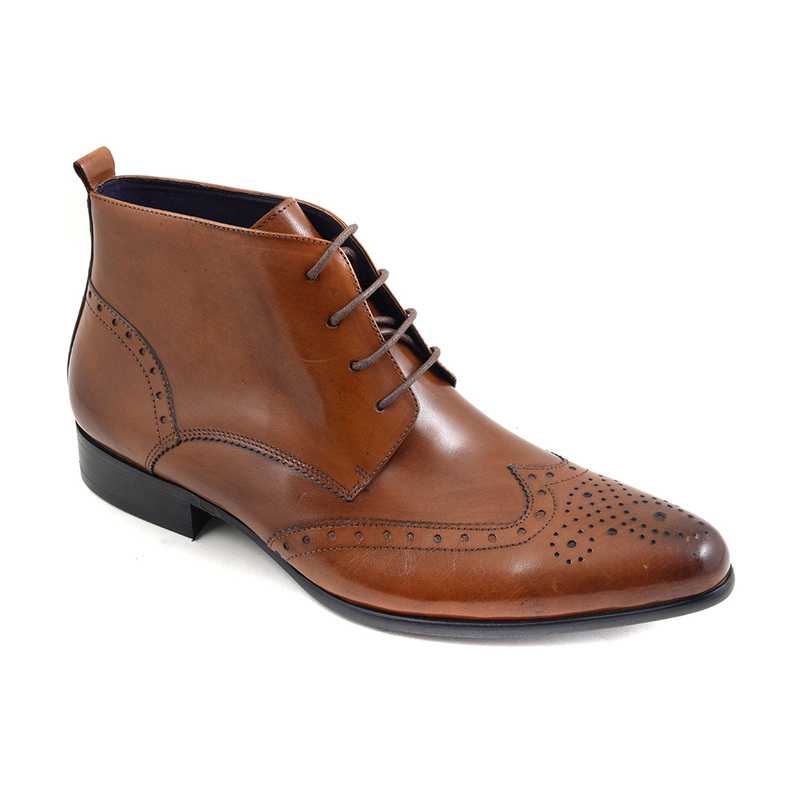 A bit of history about this mens brown brogue lace-up boot: this shoe is a wing tip which denotes a type of brogue shoe. Did you know the brogue shoe originated in Scotland and Ireland? The word ‘brogue’ is gaelic and is a low heeled shoe or boot characterised by multi-piece leather uppers with decorative perforations (or broguing) and serration along the pieces visible edges. Created with untanned hide, they had perforations which expelled water when walking wet terrain such as a bog. 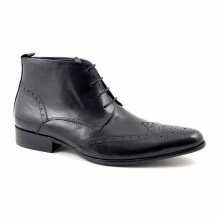 Hence, brogues were traditionally known as country or outdoor footwear and not suitable for formal occasions. These were ankle height too and had laces to stop the mud sucking them off. Times have changed so very much, mens brogues can be worn in more formal occasions and look rather dapper too. Brogue boots give men a sturdy and practical solution for winter as they are rather good for keeping warm and fending off the weather. Moreover, these pointed toe mens lace-up boots look stylish and could easily replace the formal brogue shoes you might wear to work. As they have an elongated toe, they would look good with a tailored trouser suit but also work with jeans. 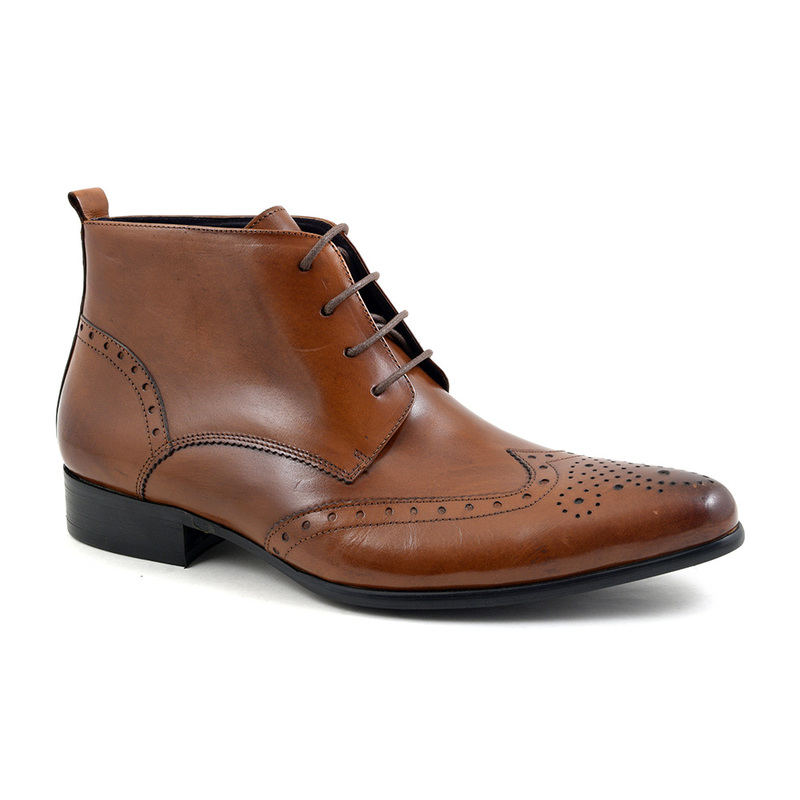 To keep these lace-up brown brogue boots looking good, take care of these brown brogue boots by polishing regularly and spraying them with a waterproof protector. If you do get caught in the rain, the best thing to do is stuff them with paper until they dry as leaving them wet can mean they warp. Even better, grab a pair of shoe trees and use those after. You don’t need them in the whole time so even one pair will work as inserting them for an hour after wear is fine. 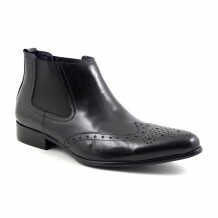 These are sharp mens pointed toe brogue boots which will add a versatile and practical boot to your wardrobe. Excellent value for money, these will be the comfiest boots you own!